One agent got away with allegedly kicking a pregnant woman, causing her to miscarry. The American Immigration Council (AIC) released a report today suggesting that US Border Patrol agents and supervisors who physically, verbally or sexually abuse migrants systemically escape with total impunity. The report highlights a few cases that illustrate the “culture of impunity” at CBP. An agent who allegedly hit an undocumented migrant’s head against a rock, causing a hematoma, was disciplined with counseling. In another case, a pregnant woman claims that a border agent kicked her during an apprehension, causing her to miscarry. Yet another detainee alleges that an agent said, “Don’t move or I’ll kill you,” as he was being arrested. In these latter two cases, neither alleged perpetrator faced disciplinary action. The AIC notes that the CBP data, obtained through a federal public records request, accounts for only a “small fraction” of US Border Patrol abuse incidents. The report does not include complaints filed outside of CBP’s internal affairs division, such as civil rights lawsuits—not to mention abuse incidents that never got reported. Criticism of abuse at CBP has been mounting in recent years, after a spate of killings compelled advocates and lawmakers to call for more transparency and accountability at the agency. At least twenty-one people since 2010 have been killed in shooting incidents involving Border Patrol agents. 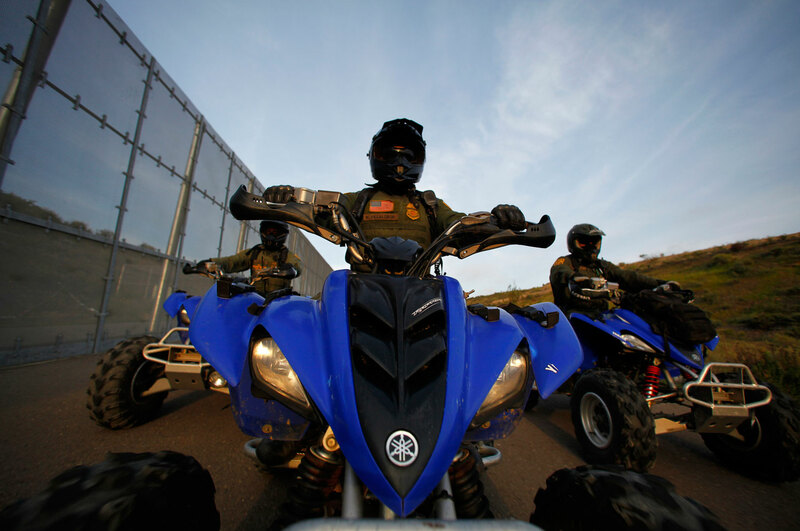 CBP plans to add another 2,000 border agents over the next two years. An independent review of CBP’s use of force procedures, leaked to the Los Angeles Times earlier this year, blasted the agency for a “lack of diligence” in handling use-of-force incidents. In today’s report, AIC calls for an independent review of CBP’s complaint procedures, noting that many unresolved complaints from the organization’s review had been pending for more than a year. 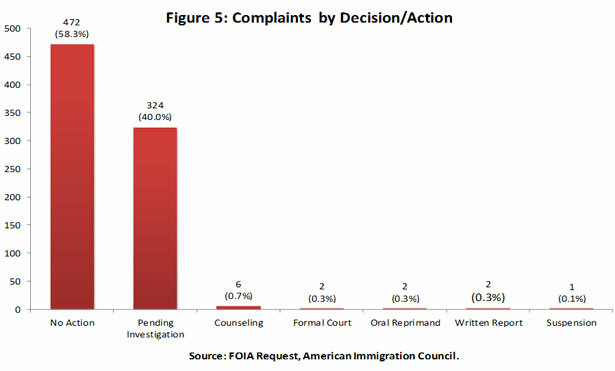 As of January 2012, at least one complaint had been active for more than 900 days. Advocacy groups say the report confirms their experience dealing with the overly complicated complaint procedure. “There is no one way to file a complaint. How to file a complaint is unclear. When we do file a complaint, we rarely get a response,” said Vicki Gaubeca, director of the American Civil Liberties Union of New Mexico. Based on the report’s findings, a coalition of advocacy groups released a set of recommendations to make it easer to file border-related complaints. The groups, including the ACLU, Women’s Refugee Commission and others, recommends that the Department of Homeland Security, which governs over the CBP, streamline its complaint processes by establishing a single online forum, as well as a toll-free hotline, to file complaints. Read the American Immigration Council’s full report here.